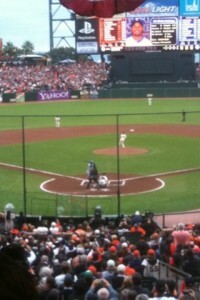 Congrats to the the San Francisco Giants and their loyal fans on winning the 2010 World Series. Tim Lincecum beat Cliff Lee twice in the series and Edgar Renteria, your soon to be retired series MVP, had the biggest/loudest hit of the post season with his 3 run homerun off Lee in the top of the 7th inning. Where do we go from here? The Giants could be set up for the next few years. Their pitching staff is young/under contract and Buster Posey may very well end up winning the Rookie of the Year award. On the other hand, the Texas Rangers are sure to lose Cliff Lee to the Yankees, and will face a much tougher road in getting back to the World Series. 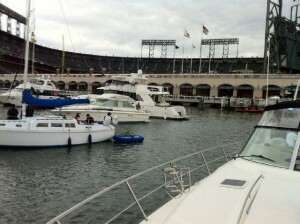 I’m happy for Giants fans and the city of San Francisco. 56 years is a long time to wait for a championship. Cubs fans, I can only imagine. Share your views. Never has a World Series cast such a polarizing shadow over an upcoming election. Voters across the US will pour into the polls on Tuesday in what is shaping up as an enormously important referendum on the economic/cultural direction of this country. Political pundits looking for a last minute poll or electoral formula need to look no further than the 2010 World Series. The winner of this series could very well represent the current political mindset of the general electorate. On the left, you have the San Francisco Giants. The city of San Francisco has long been considered the liberal bastion of the United States. Progressively minded social/cultural reformers have been flocking to the Bay Area since the middle part of the 20th century. A win for the Giants could spell success for the Democrats. 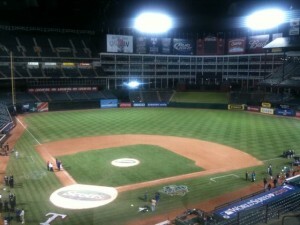 On the other side of the diamond you have the Texas Rangers. The great state of Texas is the indisputable center of cultural conservatism. The Lone Star state has long represented strong minded, freedom loving individuals. 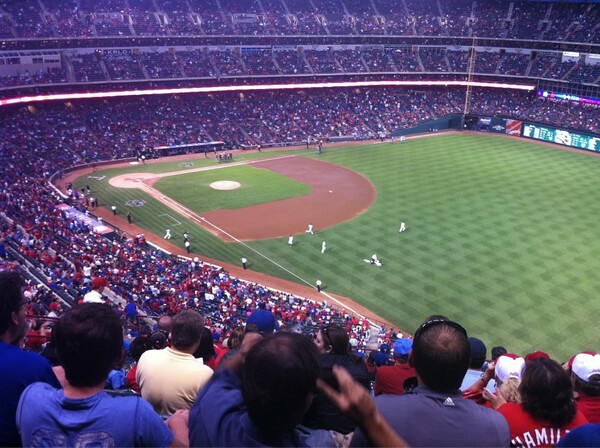 Presidents Bush, 41 and 43, are frequent guests of Nolan Ryan in the owners box at the Ballpark in Arlington. A win for the Rangers and maybe the Republicans take back both Houses of Congress. Of course, there’s a good chance that a connection between the two does not exist. However, if you catch yourself rooting for one team more than the other, you may want to take a closer look at your voter registration. 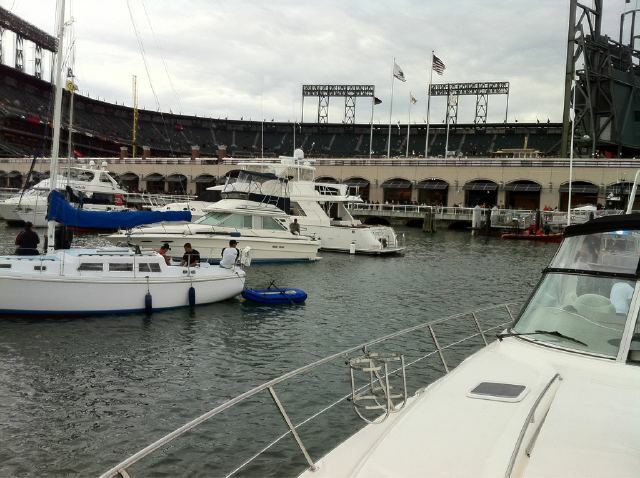 McCovey Cove looks like the kind of view where the tailgate is more important than the game. 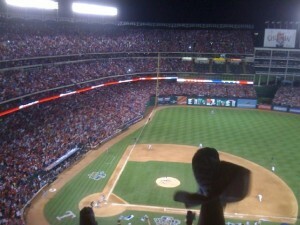 However, judging by what they are charging for tickets, this may be the most cost effective way to watch Game 2 of the 2010 World Series. Before last night, I would not have predicted that Juan Uribe would be your 2010 World Series Game 1 MVP. His three run homerun in the bottom of the 5th inning all but sealed the deal for the Giants, who would go on to outlast the Texas Rangers by a final score of 11-7. 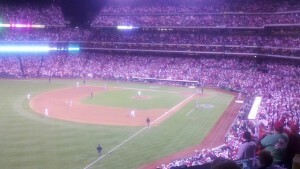 Cliff Lee wasn’t good (too much time off? ), giving up 6 earned runs over 4.2 innings. Tim Lincecum wasn’t much better but was saved by the Giant offensive explosion. Heading into the series, everyone wondered whether or not the Giants would be able to score enough runs to beat the Rangers and Cliff Lee. Well, if last night was any indication, San Fran is more than up to the challenge. Are people surprised by how easy the Giants made it look against Lee? Did anyone else fall asleep before the game ended at 11:30? Share your views. Pitching wins championships and both World Series teams, the Giants and Rangers, are pitching extremely well right now. It will be interesting to see the starting pitching matchups for the series. Texas has a potent offensive and the chemistry edge must go to San Fran who really seems to be buying into this “cast of misfits” mantra. My series prediction, Giants in 7. Series MVP: Brian Wilson. Views?